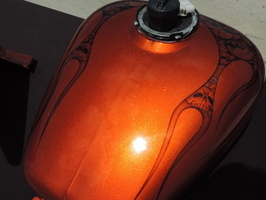 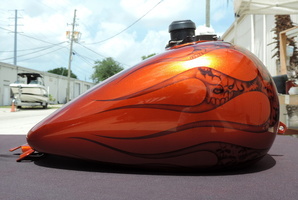 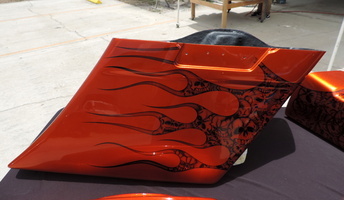 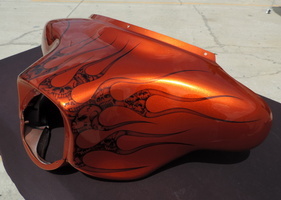 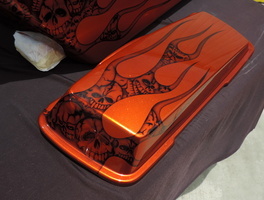 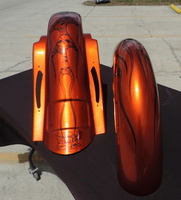 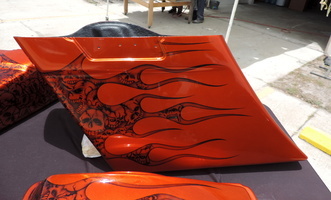 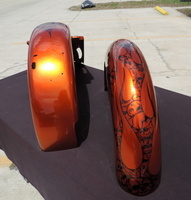 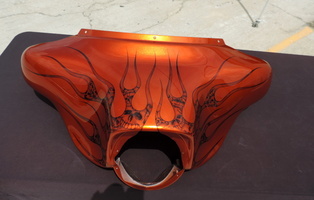 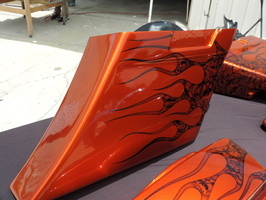 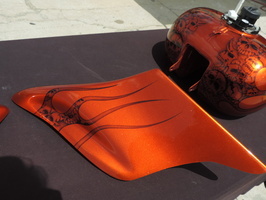 We painted this custom Street Glide in beautiful candy tangerine with black ghost flames. 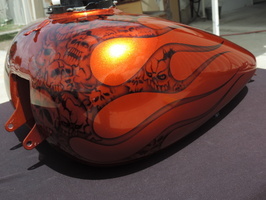 Detailed skulls airbrushed within the flames by Chris. 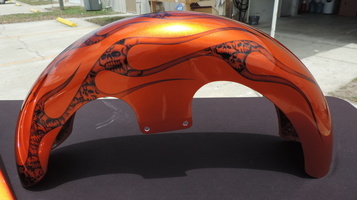 Came out looking awesome!